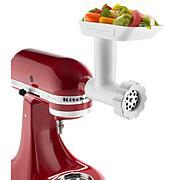 Make up to 9 dozen cookies in a single batch with the KitcheAid Artisan Series 5 Quart Tilt-Head Stand Mixer. 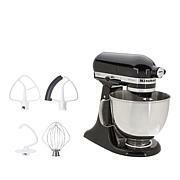 This mixer also features 10 speeds to thoroughly mix, knead, and whip ingredients quickly and easily and is available in a variety of colors to perfectly match your kitchn design or personality. For even more versatility, use the power hub to turn your stand mixer into a culinary center with over 10 optional hub powered attachments, from food grinders to pasta makers and more. I dont know why I waited so long to treat myself to one of these beauties. 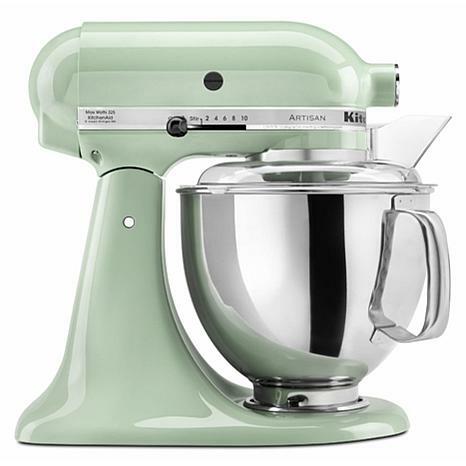 It has made baking easier and the Green apple color is gorgeous. 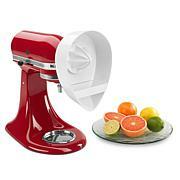 This mixer was a wedding shower gift.It was a great gift. 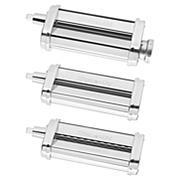 It will provide years of baking fun! !